Best Hot Oil Massage for your Hair Loss – How to do it? With the increasing pollution in the air, your health as well as your skin and hair suffer a lot. If you go out and return after an hour, you will see that your hands have turned dirty and black. So you can imagine how your hair is affected. This results in a number of hair problems like dandruff, hair fall, itchy scalp, premature graying of hair and so on. Hair loss is a common thing among many of the people around the world. But you cannot stop going out, so the only way is to find out a solution for preventing hair loss and ensure proper hair growth. Hot oil massage is one of the remedies that can provide you healthy and beautiful hair. It an age old practice, but many of you ignore it and are reluctant to oil your hair thinking that it can only make your hair sticky and oily. But this is a wrong conception. In this article we will discuss about the goodness of oil massage and how it can benefit your hair. Why oiling Hair is Important? By applying the oil n your hair and massaging the scalp you can increase the blood circulation in the scalp and this makes the hair roots well nourished. As a result the hair will grow strong and healthy. Moreover, oil helps in lubricating the hair and this reduces any damage that may happen to the hair. When you apply the oil, make sure that you oil the scalp and not the hair. This is because your hair roots are responsible for providing you a healthy and lustrous hair. So you have to nourish the hair roots. Warm the oil and then apply it instead of using the oil as it is. Warm oil penetrates deep into the scalp faster and easily. Thus your hair roots are more nourished with warm oil. In order to apply the warm oil on your scalp you may dip a cotton ball into the warm oil and then press out the excess oil. Now dab this on your scalp. You can also apply the oil on the scalp with your finger tips instead of the cotton wool. Make sure that you massage your scalp lightly and do not rub the scalp vigorously. If you massage it roughly, it may break your hair and do more harm than good. So massage moderately. After applying the oil and massaging the scalp, you can keep it overnight and then wash off with a mild shampoo in the morning. Keeping it overnight makes the oil to seep in more and this will make your hair healthy from inside. If you do not want to keep it overnight, then you can oil the hair and keep it for one to two hours and then wash off with shampoo. You must avoid going out with oil in your hair because it only attracts more dust and dirt, making hair to fall and increasing dandruff, scalp irritation and other such problems. Vitamin E is found in high quantities in almond oil and this is very beneficial for reducing hair loss. If you want to have long, strong, and thick hair that is lustrous and healthy, massage your hair and scalp with almond oil. Within a few weeks you will the difference it makes to your hair. Almond oil also nourishes your hair and helps to maintain a healthy and smooth hair. Coconut oil is considered to be one of the best oils for healthy and strong hair. It has great moisturizing properties and keeps your hair and scalp well moisturized. It is also good for cleansing your scalp. Coconut oil penetrates deeply into your scalp and makes the hair shiny, hydrated and long. Massaging your scalp with warm coconut oil is more beneficial and it helps in removing dandruff as well. Olive oil, with its antifungal and anti bacterial properties, helps in increasing hair growth by eliminating bacteria from your scalp. Olive oil is also a good conditioner and conditions your hair. It provides nourishment to your hair and improves the elasticity of your hair as well as makes it stronger. If your hair is chemically treated, using olive oil will help in ensuring the health of the scalp and enhances the growth of the hair. Use virgin olive oil instead of the refined oil as it is more beneficial for your hair. Find time to treat your hair at least once in a week and this will help in retaining the health and shine of the hair. 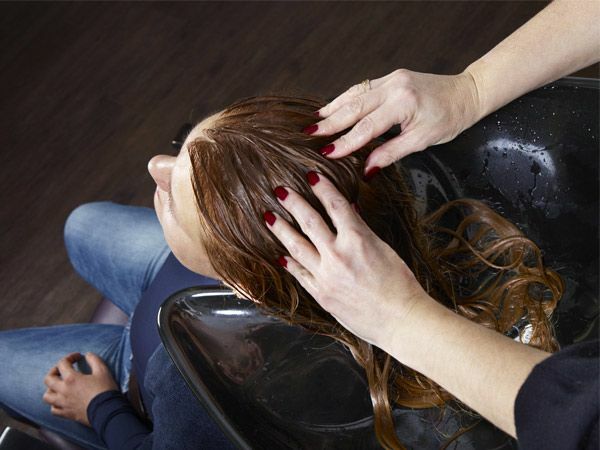 Do not subject you hair to too much of chemical treatments like perming, coloring, straightening and so on. Over use of styling equipments like hot irons, curling rods, blow dryer etc, which cause heat to come in contact with your hair, will lead to dry hair. As a result you will have dull and damaged hair. So try to reduce or avoid using such equipments. When you apply hair mask on your hair, cover your hair with a hot towel. This is more beneficial for your hair and deeply nourishes your hair. Trim your hair once in 2 to 3 months. This will help in getting rid of split ends and increase hair growth. Having a hair cut regularly is an excellent way to ensure proper hair growth. Besides using oil, you can also use some homemade hair conditioners to prevent hair fall and make hair grow strong and healthy. Amla for Faster Hair Growth – How to use and is it good? Great information. I am worried about their hair fall and dandruff and coconut oil have not suit in my scalp….. so please tell any solution?